Unlike many charter schools, Lourdes did not have to start a program from scratch. Its problem was establishing its independence. 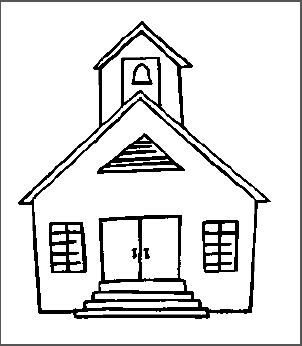 Founded in 1898 as the Bender School, the little community school first existed a few miles from its current location. 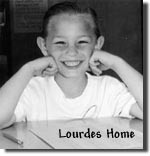 It moved to its present spot at 39059 Jordan Road in the early part of the century and became the Lourdes School. The building was replaced about 1960 and now encompasses four rooms and a separate gym, all leased buildings. Lourdes operated as an independent district until 1997. That year state law forced it to merge with the Scio School District. In the spring of 1998, the Scio School Board decided it could no longer afford to run Lourdes. The situation aggravated months of bitter feuding. The board declined to make Lourdes an alternative school, saying the district should not spend tax dollars to duplicate services. Lourdes supporters already had sued the Scio district over being forced to merge in the first place. When the district withdrew its funding and sent representatives to collect supplies, parents accused the district of theft and trespassing. The school hung on, however. Parents filed to re-incorporate Lourdes as a nonprofit alternative school for 1998-99, and since the district refused funding the teachers volunteered their time and community members donated money for rent and untilites. The following year, Scio agreed to sponsor a Lourdes charter. Lourdes is not much different as a charter school. Limited class sizes, emphasis on placement according to ability instead of age, and the fact that the school continues to exist at are the things that distinguish it from schools in Scio. In the last five years Lourdes has installed a computer network and has expanded and computerized the school library. The school has a weather station, and has adopted the GLOBE program, which enables the students to collect atmospheric, water and soil data.